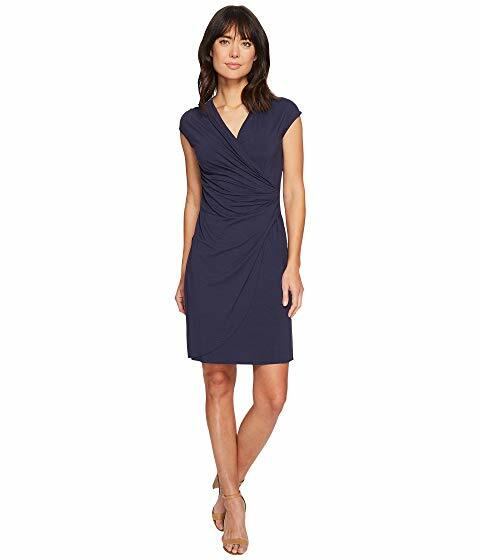 This Tommy Bahama™ dress is not just for office wear. The easy slip-on style is a nice choice for cocktail hours. Ruching at side brings a wrap-dress feel making you look and feel perfect! A perfect dress to go from the office to happy hour. We see Tahari by ASL™ petite draped hem crepe dress. A sleeveless design makes it look fresh and feminine. Love its sheath silhouette and round neckline. Look at the bespoke cascading drape detail at front of the skirt. The tulip-style hemline falls above the knees. Just love it! Just don't forget to cover your shoulders with a slim-fit black blazer. Refine your timeless look with the Karen Kane® color block long sleeve sheath dress. I love the color-block design on a jersey-knit fabrication. It will be a perfect match for Fridays. Another great way to steal the room is by wearing this dynamic yet feminine Maggy London™ dress. 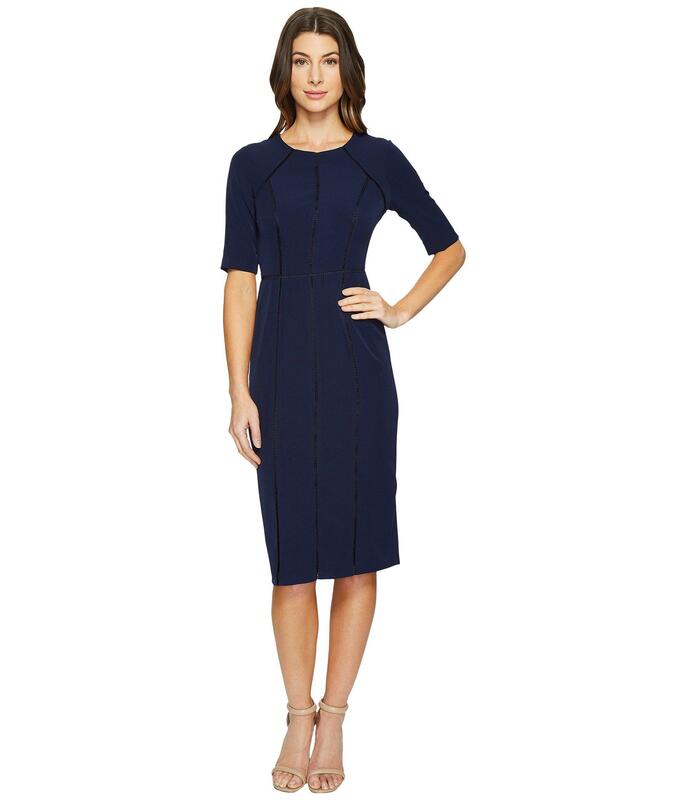 It comes with a classic sheath silhouette, jewel neckline, elbow sleeves, and a defined waist.